Chancellor's Blog: The "Blue Men" are coming! 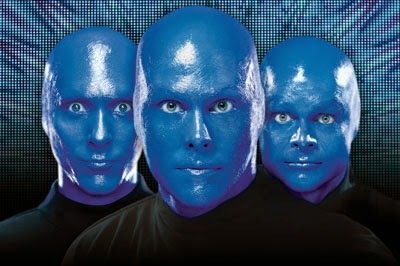 The "Blue Men" are coming! One of the best things about being part of the UIS community is that we have a fabulous performing arts center right on our campus. Sangamon Auditorium offers a terrific slate of top-level performances every year – from Broadway shows to professional dance ensembles to musical artists to theatre to comedians – it’s a wonderful resource for the university and for the entire central Illinois region. One of my favorite activities as Chancellor is sharing the Chancellor’s reserved seats with special invited guests – especially students. The wildly popular Blue Man Group will be performing in our Sangamon Auditorium next week with two shows on September 5 & 6. If you are a student reading this blog post, I have a special offer for you. For the first ten students who send an email message to UIS Director of Community Relations, Joan Sestak, I’ll provide you with a free one (in a pretty darn great seat) to see Blue Man Group on campus next week. Send your request (better hurry) to Joan Sestak at jsest1@uis.edu. If you are a winner, Joan will respond and let you know how to pick up your free ticket. By the way, whether you win or not, keep in mind that Sangamon Auditorium has special student rates for performances all year long. I hope you will become a regular member of the audience this year.